Hi Gloss is a light oil spray, (with a lovely strawberry scent!) perfect for defining muscles and dramatically highlighting features. It adds superior shine and lustre in seconds! 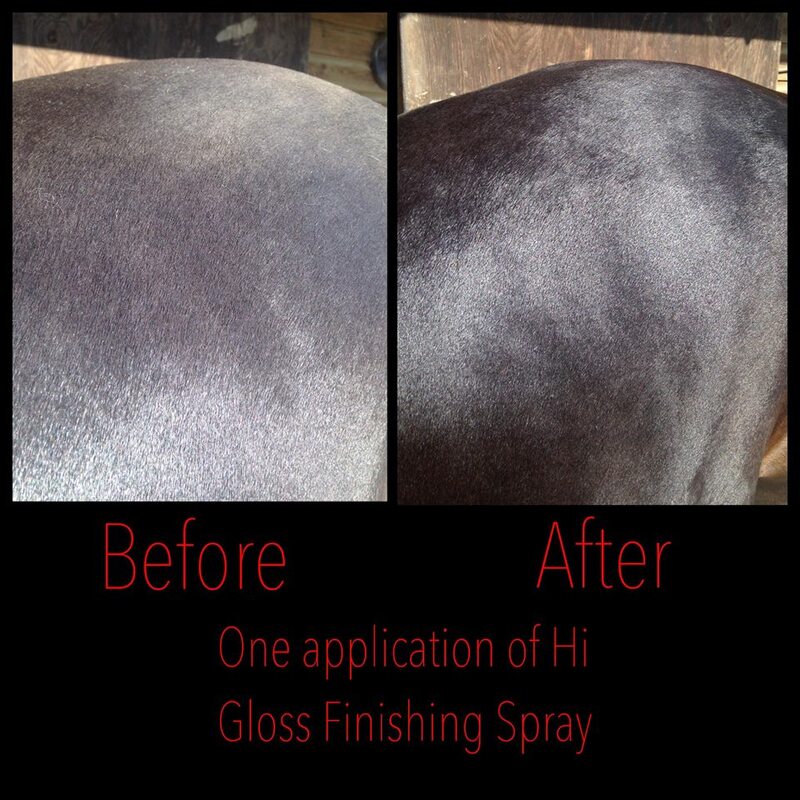 Hi Gloss is an easy to use product that conditions the hair as well as giving a fantastic show ring shine to the coat, mane and tail. To apply, hold the can 12 inches from the horse - or spray on your hand or a cloth and wipe on. Can be used on the face as a highlighter, and even sprayed onto hooves for an incredible shine! Please note we cannot ship Aerosols outside of the UK. If you have a 'spray shy' horse, why not add 'The Mitt' from Absorbine - great for applying sprays, waterproof inner so you don't apply product to yourself! Or add a Sheepskin mitt, for a superb shine - great for use with Hi Gloss! Hi Gloss is a light oil spray, (with a lovely strawberry scent!) perfect for For more information please contact shinyshowhorse.